This month’s Around Our Clocks hour was 6 pm and I waited until the absolute last day of the month to capture my image. While it gave me a picture I’m pretty happy with, it is not at all representative of my typical 6 pm hour. Usually at this time of my day we’re eating dinner, doing dishes and prepping for bedtime. During this particular 6 pm hour, however, we in the middle of a spring break trip to Arizona and we were enjoying an evening with my brother-in-law and his family. 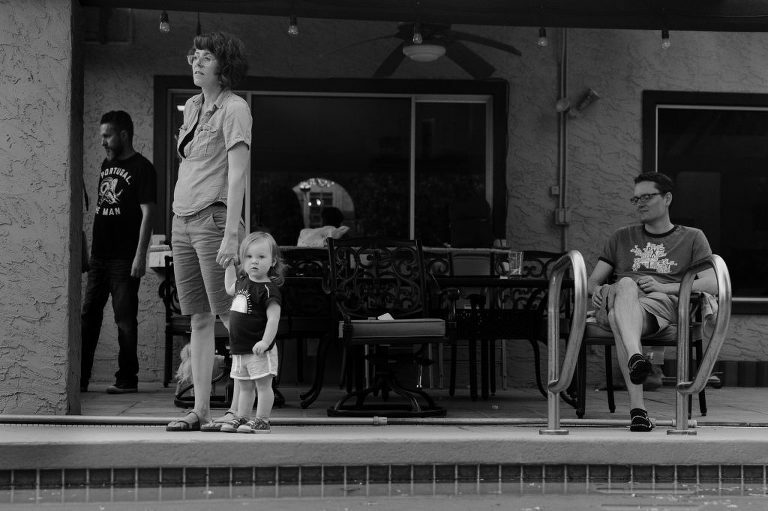 Poolside, wearing our t-shirts, brother-in-law manning the grill–it was springtime in Arizona. Click through to follow our blog circle and see all the other talented photographers taking part in the project this month.